After researching more than 300 reviews online and going through almost 30 different fitness trackers online we shortlisted the Top 10 best Fitness trackers in India. Some of these trackers come at dirt cheap prices within a range of 1500 Rs. and they provide basic functionality while others like Fitbit, Garmin, and TomTom are the more high end and expensive fitness trackers for athletes, sports enthusiasts, passionate runners, cyclists, and bodybuilders. According to International Data Corporation (IDC), the wearable market in India observed the total shipments of 2.5 million units in 2016 as per IDC Worldwide Quarterly Wearable Device Tracker. This absolutely proves the fact that more and more Indians want to be healthy and they have just found a new way to keep a track and change their lifestyle patterns. After the launch of some international wearable brands in India like Fitbit, Garmin etc. there has been a brilliant start-up in India focused on wearable – GOQii. It’s doing really well in the Indian market and is giving a tough competition to more established and expensive brands. If you’re in a hurry and don’t have the time to go through this entire review, let me give you our top three recommendations for the best fitness band in India. Since there are so many options available with a wide price range, it wouldn’t be fair to compare a fitness band under INR 2000 with a fitness band which is more than INR 10000. So I am selecting the best fitness band in a given price range. In case you’re in a hurry, here are my top three recommendations for the best fitness bands (in three different budget categories). Still confused about which fitness band is best for you? 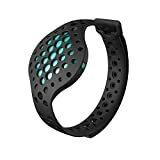 Let me help by providing detailed reviews on the best fitness bands that I found in the market (and the ones you can buy online). These reviews will definitely help you gain awareness and understanding of the best features, pros, and cons of each fitness band. Below is the table that shows all the fitness bands covered in this review. Now let’s have a look at the detailed reviews of each of the fitness band covered in this article. Garmin has always been known for its specialization in GPS technology since so many years. As you know the company has most recently entered wearable technology to compete with the likes of Fitbit and Apple. Garmin has produced one of the best fitness trackers in the wearables which is this one – Garmin Vivosmart HR+. 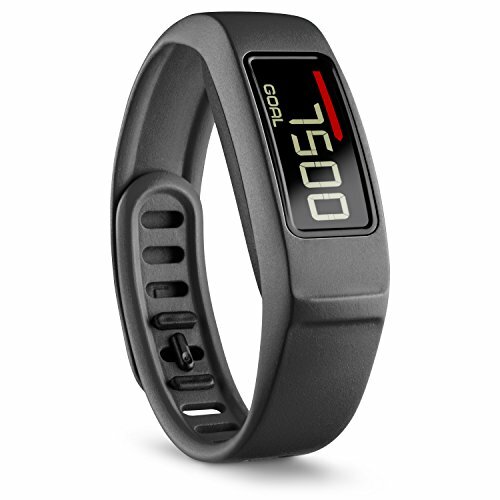 The Garmin Vivosmart HR+ fitness band is an activity band with 24/7 optical Heart Rate and built-in GPS. The Vivosmart band has a two-tone texture that really gives a smart look. It looks a bit thick on the wrist as compared to Fitbit Charge HR however it provides a pretty good display for reading your data. It counts steps and floors climbed and measures Intensity Minutes. It tracks heart rate to provide more accurate calories burned information. Throughout your day, the Vivosmart HR+ reminds you to stay active with a moving bar and vibration alert if you’ve been inactive for 1 hour. Go for a short walk to reset the inactivity timer. The display screen is touch enabled and pretty low resolution and not as bright as it should be to help during that bright sunlight day. But the display is certainly better than the Garmin Vivosmart HR. If you swipe through the screen on your Vivosmart band you will get a glimpse of your daily activities – step count, calories burned, stairs climbed, distance and above all the Heart Rate. You can see the last four hours of your heart rate in a Graph. You can check its features, specifications, battery life and price in the table at the beginning of this article. For detailed calorie tracking, you can also create an account at MyFitnessPal and link it to your Garmin Connect account. This allows you to compare calories consumed to total calories burned, which vívosmart HR+ records throughout the day. The Fitbit Blaze is the third best fitness tracker within Fitbit in the list of Top 10 fitness trackers in India. With advanced technology and a versatile design, the Blaze tracks steps, stair climbing, heart rate and sleep automatically, just like our current favorite fitness tracker, Fitbit Charge HR. It comes with four fitness watch faces, which are all a little easier to read than the Charge HR’s super-tiny display. And it can work as a stopwatch or time. The Fitbit Blaze comes with an inbuilt GPS unlike Fitbit Alta and Fitbit Flex. You should note that the more GPS you use on the device the less battery life it will have. Usually, the battery life for Fitbit Blaze is unto 5 days but if you use GPS more often on your runs or cycling tracks then the battery life will be much less. 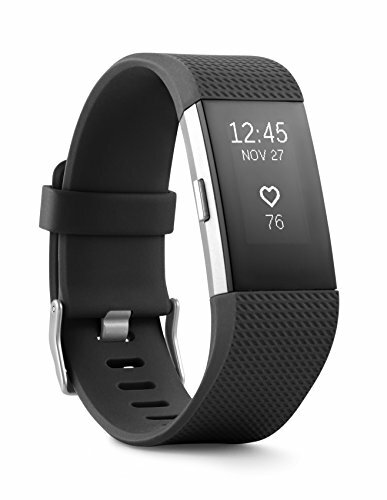 Fitbit has yet another superb product in this category which has the design that is quite similar to the Fitbit Charge 2. You can change the bands whenever you want or if they wear out after some time. Get the power of continuous heart rate during workouts and beyond with the help of Fitbit’s Pure Pulse heart rate feature. When you monitor your heart rate, you can better measure calorie burn and use zones fat burn, cardio, and peak to find the right workout intensity for your goals. When you wear the Fitbit Alta HR and lift it to look at the screen it automatically turns on the display and turns off the display when your wrist is in the normal position. The display is bright in the room but quite weak in the normal sunlight. Although you will be able to see the display but its very weak indeed on a bright sunny day. When you want to see the data on the Alta HR you just need to tap twice on the screen and toggle on various screens to check your step count, heart rate, estimated distance, estimated calories burned and active minutes. Through the app, you can also set up to display the resting heart rate and the battery life meter on the Fitbit device. It will also prompt you to be active throughout the day and will vibrate if you don’t move for a period of time. Basically, it wants you to be active and not lazy just sitting in one place. The sleep tracker is pretty much accurate when it comes to displaying your sleep time and sleep quality. It really gives you insights about the quality of your sleep and if you were asleep, restless or awake. With the help of an optical heart rate sensor, the Alta HR displays near 95% accuracy for resting heart rate as well as exercise heart rate. When you get into the workout mode the band will recognize that you are actively doing a workout like running, cycling etc. and give you results accordingly in the Fitbit App. 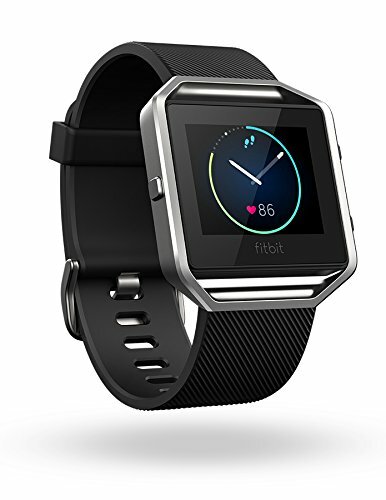 To summarize the Fitbit Alta HR is a fitness tracker for entry level guys who are looking for mobile notifications, active reminders, sleep data and step count data. 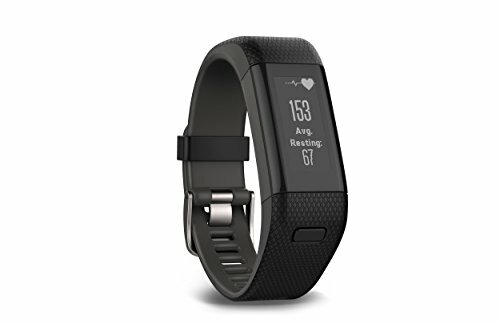 If you are a fitness freak who exercise on a regular basis then you should look at other fitness bands in the same price range. The Fitbit Charge 2 is undoubtedly the bestselling fitness tracker in India. Made for ideal fitness freaks who like to run, workout, track food, water intake, heart rate, distance covered while running etc. this is their best choice. Fitbit claims it is their number 1 selling fitness band within the Fitbit family. Fitbit Charge 2 is available in 5 colors including the one with Black Gunmetal color which is our personal favorite. With a quick glance, you will be able to see the time, steps count, and your heart rate. It takes just seconds to set up a workout and scroll the menus. The beauty of the Fitbit Charge 2 lies in its simplicity. It’s very easy to use and navigate in your day to day activity. The readout on this watch is also easy to use. You can change the settings to show how many steps you are taking or the calories you are burning. It even offers interchangeable bands so you can change it around to fit whatever it is you are wearing. There are numerous such designs and band options for you to choose from. This works carefully and with smart readouts that are active for as long as required. You should look at this properly to get yourself a controlled setup that is smart and easy to follow. It has a battery back of 5 days only. As with most devices from Fitbit, you will need to charge your tracker after every 3rd or 4th day. You cannot wear this band while swimming because of its not waterproof but only water resistant from sweat, water splash or mild rain. Moov Now is one of the best mid-range fitness trackers in India. This device tracks your form in 3D space and provides real-time data even if you are away from your smartphone. Whether you are in the swimming pool or on the road, in the gym or Running on the road Moov now tracks each and every move in your body and gives data in real time on your smartphone. You have an option to either wear it on your wrist or tie it on your foot. The Moov app guides you while you are working out based on your movement or heart rate in real time. You just have to follow the automated coaching voice while you are doing your favorite activity – cycling, running, swimming, weight lifting or boxing. 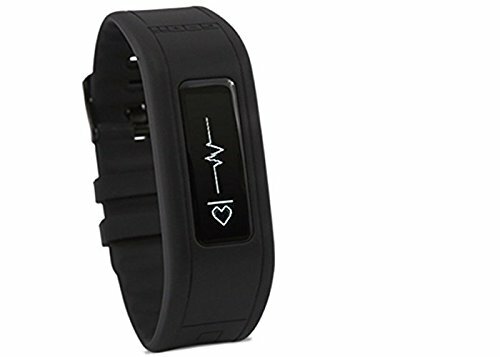 They also have the Moov HR tracker that specifically measures your heart rate during the workout activity and pushes you in and out of the target heart rate zone for maximum results. If you are an active Swimmer, active runner, active boxer, active cyclist, active weightlifter and looking for a coach to push you and guide you for better results Moov Now will do this for you. The only downside we see with Moov Now is that it does not have the display. Rest everything is absolutely and amazingly superb about the Moov fitness tracker. Garmin is an American multinational company, headquartered in the US. The company is very well known for its GPS technology for use in automotive, aviation, marine, outdoor, and sports activities and utilities. One of the best features in Garmin Vivofit 2 is that it reminds you to stay active throughout the day and gives off an alert when you are inactive for an hour. Research shows prolonged periods of inactivity such as sitting at a desk decreases your body’s production of fat-burning enzymes. You can reverse that effect by taking frequent, short walk breaks throughout your day. And while you might lose track of time and forget to move, Vivofit 2 knows. A red move bar appears on the display and a gentle alert sounds after one hour of inactivity. The move bar builds every 15 minutes until you reset it by walking for a couple of minutes. The display can be adjusted to show your steps, the calories you are burning and how much distance you have traveled. It all works with a body that allows you to keep this working for as long as you want. The soft and flexible design helps you get the most out of the band. The App MyFitnessPal can be used alongside the Vivofit 2. This fitness tracker has been my personal favorite and I’ve used this for more than 6 months. The GOQii Life Fitness band has been designed by an Indian Entrepreneur based in Silicon valley – Vishal Gondal. This advanced fitness tracker will track your daily steps, Calories burned, Distance covered, Active hours and Sleep pattern. The step counter is very impressive with almost 95% accuracy of total steps you take. The battery back-up is amazing with an average of 15-20 days depending upon your usage. You have an option to go for 3 months/6 months/1 year subscription for Unlimited personal coaching sessions and certified doctor based on your preferences. I recommend you should go for a minimum of 6 months subscription because your body will take time to adapt to your new lifestyle and you will get used to the coaching system that GOQii provides with help of their health coaches. 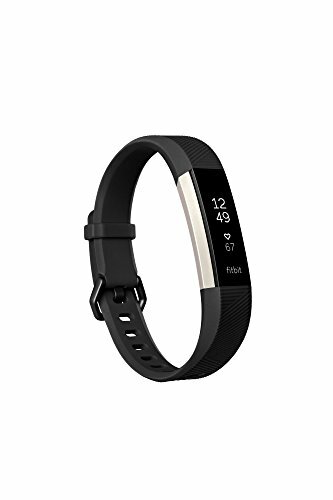 Buying this band for 3 months will not serve any purpose and you will eventually lose your interest level as well after the coaching subscription ends. This is a natural human tendency that if you’ve paid for the services you will use them. If you only pay for 3 months you will only be active for 3 months and might lose interest after 3 months but if you pay for 6 or 12 months then there is a huge chance that you will be committed for this longer period and will be more healthy and physically fit. You get an option to choose your coach from the 4-5 choices they provide you based on your preferences. Needless to say that all coaches are handpicked and experts in health, fitness and exercises. Overall GOQii Life Fitness band is one of the best fitness trackers in India and certainly very affordable. 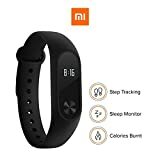 The MI 2 fitness band from Xiaomi will be most likely your best choice if you are tight on budget and are looking make some changes to your lifestyle by tracking your daily activities. It is one of the cheapest but branded fitness band in India. 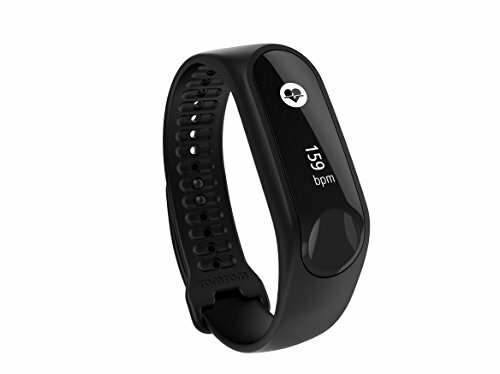 While there are other fitness trackers in the same price range like Intex Fitrist, Goqii etc. 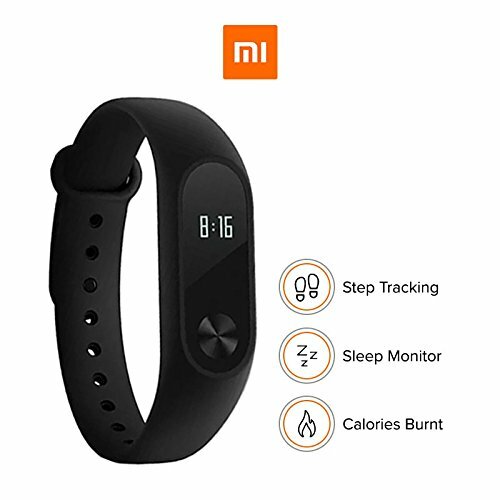 With MI band 2 you will have basic tracking features like step counter, sleep monitoring, heart rate monitor, alarm clock, phone calls reminder etc. This fitness tracker will give you all the features that are available with other high end fitness bands available in the market. The battery life for this band is pretty good as it runs for approximately 10 – 15 days. When it comes to the pedometer feature of this band it pretty much gives around 90% accuracy. The only downside we found is that the heart rate feature of this band is not that effective and therefore you should not pay much attention to the heart rate. Overall a good entry level buy for someone looking to get back into shape and track their habits. Which fitness tracker is right one for you? When looking for the best fitness tracker for yourself ask yourself this question – What is your goal of buying a new fitness tracker? Is it just to track your daily food and water intake and monitor your step count so that you can walk more during the entire day. This can be achieved by the basic and cheap fitness bands in India like GOQii and Xiaomi MI 2 band. If you go for running on a regular basis and want to keep a track of your daily runs – step count monitor heart rate or use GPS to track distance then you should ideally pick either Fitbit Blaze, Garmin Vivofit HR or Moov now. Buying a fitness band for yourself is really a great decision. A fitness band will not only add to your overall personality but it will also keep you motivated and get you going when you get busy in the daily hustle and bustle of life.